The Gibraltar GRS-850DBL Curved Double-Bass Rack is a curved double-bass front bar rack from Gibraltar’s Road Series of Hardware. 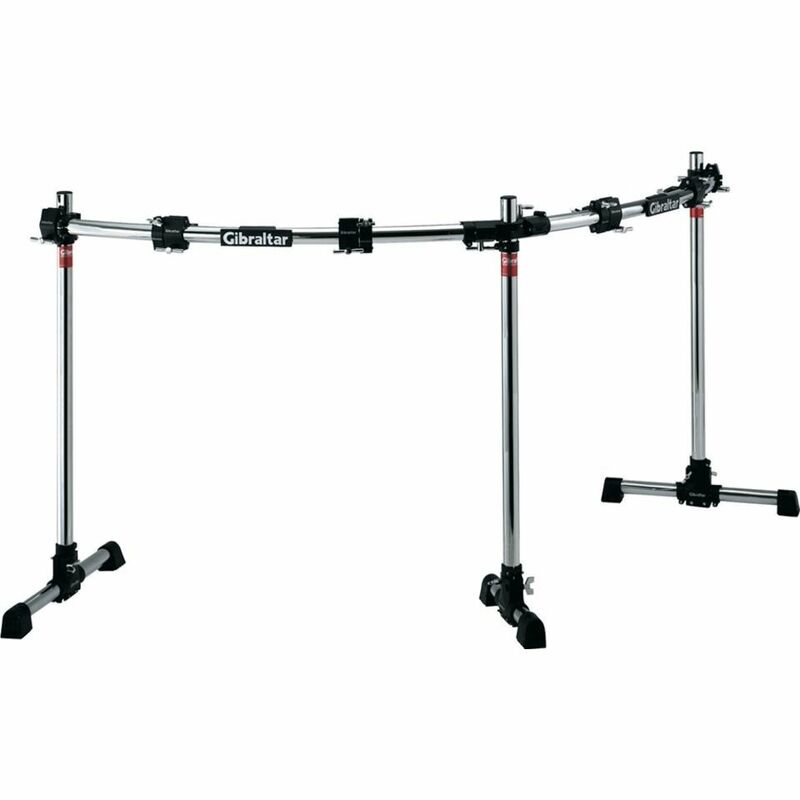 The Road Series Racks are sturdy, solid and reliable, ideal for the gigging musician. The GRS-850DBL is designed to save on space, but still able to accommodate a large drum kit with up to 6 toms, 8 cymbals and two bass drums. The GRS-850DBL can also be used with a single bass drum setup, the second bar performing as an excellent side extension.